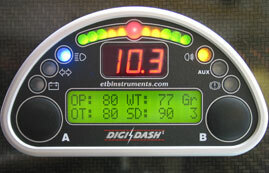 Presenting the powerful new range of DigiDash Dataloggers and Display systems. Born from a racing experience, the DigiDash range has been designed and developed to incorporate a host of features usually associated with high-end, expensive data acquisition systems, yet at an affordable price. As our customers are already finding on the race track, there is simply nothing else on the market that comes close. With sensors, software and wiring harnesses included, the DigiDash2 - PRO offers a comprehensive package for the serious racer, track day driver or road user. 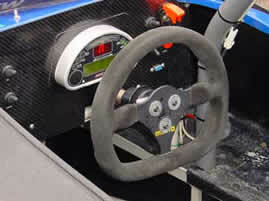 The system comprises a separate Datalogger box and CANbus Display module (Pictured). Track mapping and video overlay come as standard within the package.